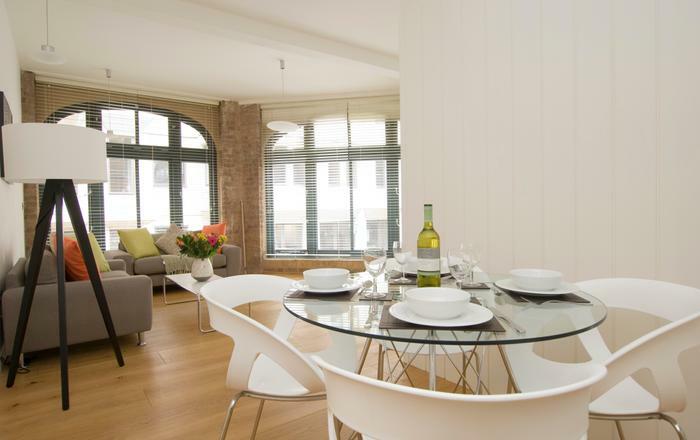 A light and lovely one bedroom short let London flat with wonderful views and two balconies. 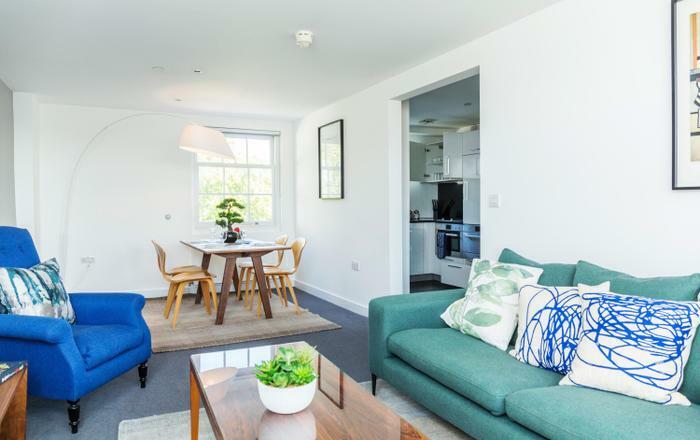 This is a convenient central London location stumbling distance to Regent's Park and an underground station minutes away. The comfortable seating area offers a sofa-bed, glass dining table, desk and chair, satellite cable television and Wifi. The bright and attractive wrap-around windows open to a private balcony. 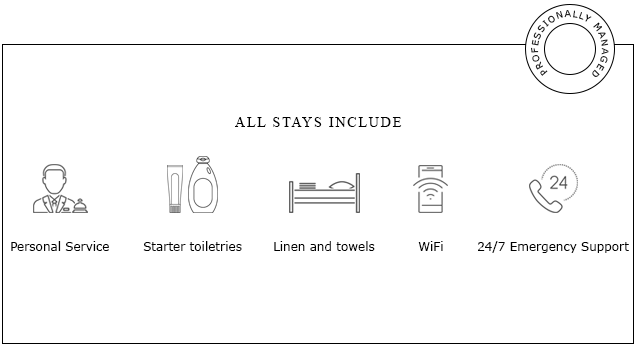 A spacious bedroom has a king sized bed, wardrobe and chest of drawers. A newly fitted kitchen with clean lines, fully equipped with ceramic induction hob, microwave, washing machine and dryer, dishwasher, espresso machine. The kitchen is open to the living area. Fully fitted bathroom with tub, overhead shower, WC, basin and heated towel rail. 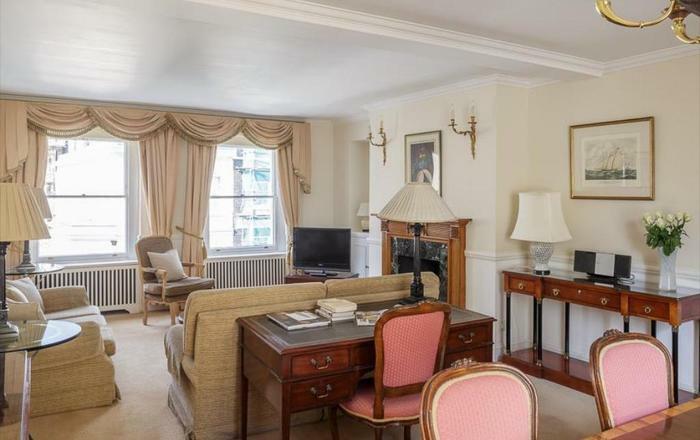 There is a large balcony area off the living room offering interesting views of central London. 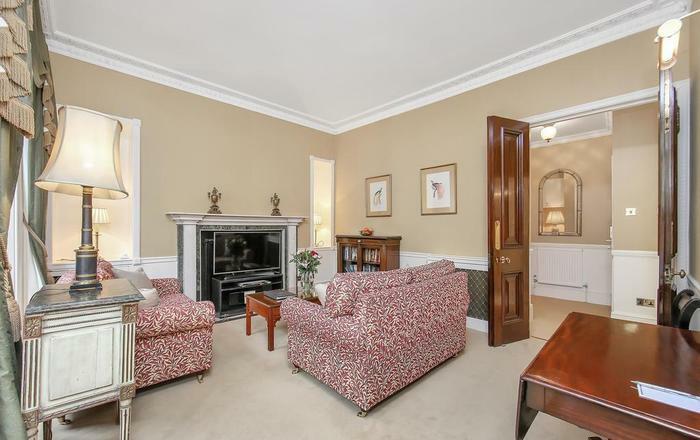 - Mornington Crescent Underground - Northern Line - five minutes away - zone 2. 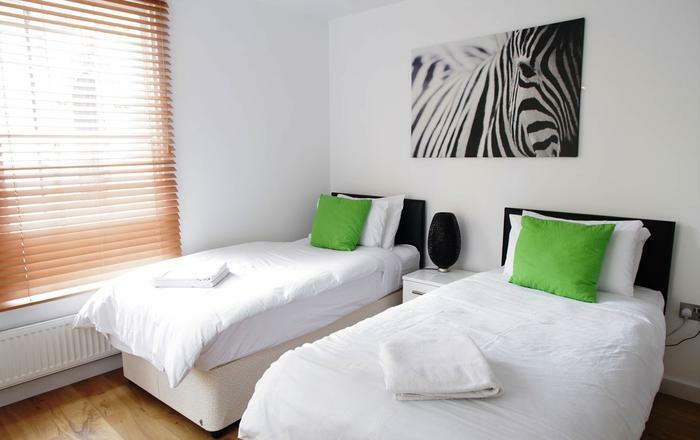 - Euston Underground and Station - National Rail, Northern Line, Victoria Line - under 10 minutes away - zone 1. 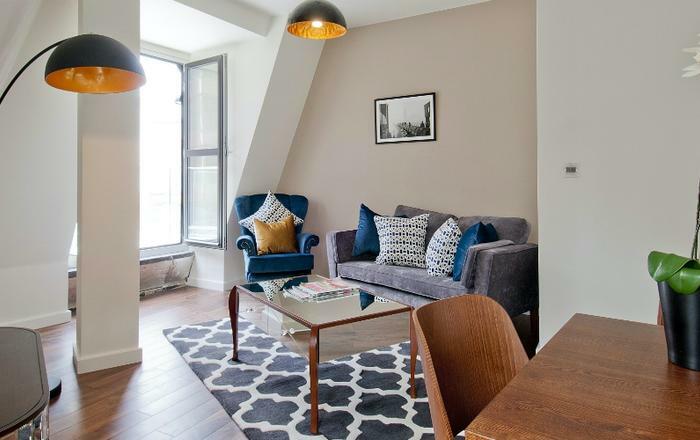 - Kings Cross St. Pancras station offering EuroStar, National Rail, Northern Line, Victoria Line, Piccadilly Line, Hammersmith & City Line, Circle Line, Metropolitan Line - under 10 minutes away - zone 1. Many thanks for your prompt response. We loved the flat, it was just perfect for us. It is very clean, very well equipped and the location is brilliant. 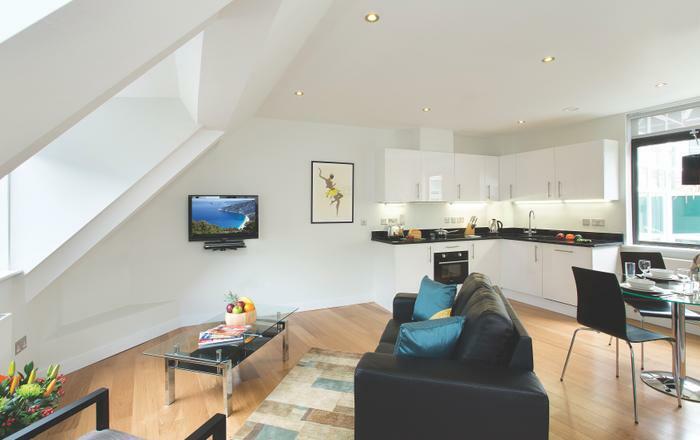 Walking distance to Euston station, Mornington Crescent tube, several supermarkets, buses and Regents Park, what more could anyone want! Daniel was an ideal host, always just a phone call away, friendly but not intrusive. We are happy to leave a review because we had such a good time here. 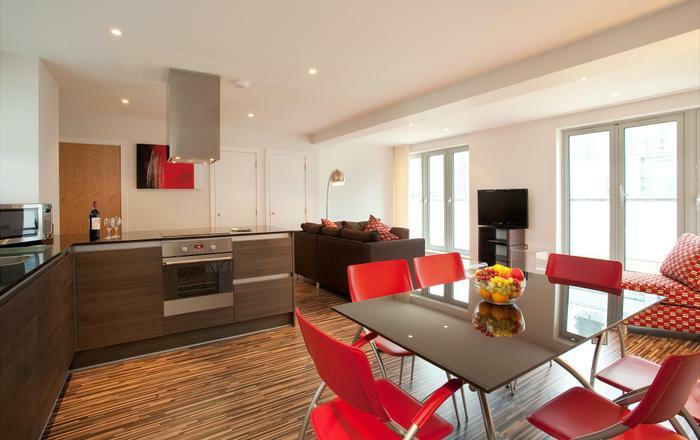 Great flat with wonderful views out over Camden, and lots of light inside. I wish we could have stayed longer…so much to do in this part of London. My friend and I had a wonderful 10 days in London and found this flat in Camden a perfect spot from which to tour the city. Several days we walked to the sights of the city, sometimes we took the convenient Tube and sometimes returned by bus. We were introduced to the flat on our arrive and left alone until our departure. There was someone available in the building but we like to make our own way. The accommodations were clean, tidy and well heated as the temperature dipped below freezing. We were able to do our own grocery shopping nearby and cooked meals in the convenient kitchen. The dishwasher and the clothes washer/dryer work satisfactorily. There were excellent ethnic restaurants nearby so we could eat out when we wanted. We were high up in the building and had excellent views of the sky, Hampstead heath and the back of the John Nash buildings on Regent Park. I would love to stay there again.